Aspiring millionaire: Don't Cower Away from Financial Turmoil, Fight It! Don't Cower Away from Financial Turmoil, Fight It! Everybody, no matter how affluent they may be, is liable to having to face some sort of financial turmoil in their life. Everybody has the potential to find themselves in the midst of such turmoil. Everybody is liable to losing everything they’ve earned. But just because these kinds of situations are a real threat, it doesn’t mean they can’t be fought. Just because they make you feel as if there is no hope of salvaging the situation. There is always hope, you just have to be prepared to fight the financial turmoil you find yourself and not cower away from it. The first thing you should do when you find yourself in financial turmoil is to simply ask for help. There is nothing wrong and there is nothing embarrassing in doing so. Whether it be a family member or a friend that you ask, or a professional loaning company that you turn to when you need financial help, make sure you to turn to someone or something. When asking the former — someone close to you — for financial help, you should remember one very important thing: they will want to help. They will not want to see you down and out, they’ll want to help you as best as they can; you should remember this if feelings of embarrassment are acting as barrier between you and asking for the help you most desperately need. When asking the latter, a professional loaning company, you should remember that it is bonafide way of lending, so there’s nothing to worry about in that sense. But you should also remember that there will be a strict deadline set in place in which you have to pay the money you borrowed back by. Understandably, taking out a loan may not be an option that you wish to take. And if asking a loved one to borrow you money is too far of a stretch for you also, then fear not. 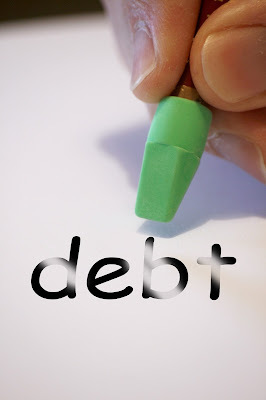 Fortunately there are other solutions out there that are willing and waiting to offer you help with debt. One such solution is the assistance provided by a professional debt relief planner. Such a professional would help you to repay your debts in both an affordable and manageable way as well as help you to save a load of money in interest. Or, you could provide relief to your debts yourself. And if your debts are mainly induced through the use of credit cards then, again, fear not as a bad credit score is no longer a financial death sentence. You can improve your credit score, and you can do so all by yourself. One way to do so is to close off any credit cards you are not using. If you ever find yourself in the midst of financial turmoil, then please don’t cower away from it. Fight it head on. And, as well as asking for help and trying to reduce your credit score (if bad credit is affecting you), you should make active changes in your spending habits to do so. This means budget, budget, budget. Once you do that not only will be combatting and beating your financial turmoil, but you’ll also find that your life will change for the better.